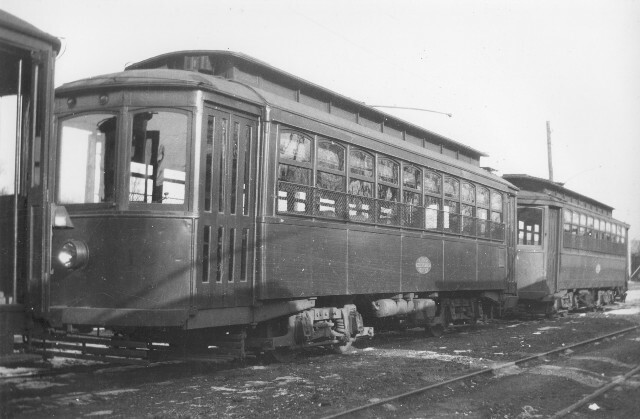 These are later pictures of 132 (above) and 133 and 134 (below), taken at the car barn after the cars had been repainted orange, which shows up very dark on early black-and-white film. Some time earlier, the cars had been rebuilt with straight sides. 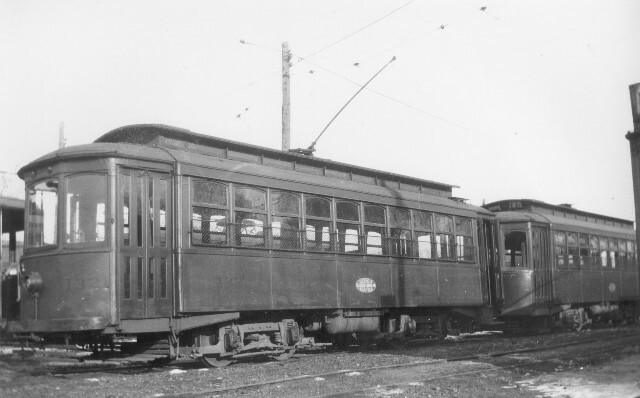 In 1928, these three cars were transferred to Peoria.